Did you know that you can order blood tests online, without having to visit a doctor? The direct-to-consumer lab testing industry is expanding each year at a rapid pace. Back in 2010, this industry was worth approximately $15 million, but today it increased to over $130 million! This is a good thing because people finally understand that they can take their health in their own hands and order lab tests on the internet in a much more affordable way. Getting a blood test through the current managed care medical system is unnecessarily difficult these days. Most people end up having long discussions with their healthcare providers who might think that the tests are unnecessary. Even if doctors prescribe certain blood tests, some insurance companies may not approve them and later send patients large bills. Also, some insurance companies may be willing to pay for only a certain frequency of blood testing, which may not be adequate for patients who are adjusting medication doses. Getting blood tests using your current medical subscription can also become problematic and hugely expensive, in comparison with ordering blood tests online. To buy blood tests without insurance, all that you have to do is to find a reliable lab tests store such as DiscountedLabs. DiscountedLabs provides more than 50 different types of blood tests and panels, and partners with LabCorp which is one of the largest labs in the United States, having more than 1,800 centers across the country. Many people find this process to be much easier, eliminating the need to get blood tests through a doctor and having to pay copays or even a full doctor visit price. DiscountedLabs sells the most affordable blood tests in the United States and delivers the results to your email in as little as 5-7 business days. Anything can be ordered online nowadays, so why shouldn’t you get your blood tests and skip the hassle usually associated with a doctor’s visit? Here’s what you have to do to order blood tests online. 1. Go to DiscountedLabs.com and click on the Find a Location tab to see if there is a lab near by you. Note: Due to certain state legislation, DiscountedLabs does not serve the states of NY, NJ, MA, RI, NH and ME. No Labs in VT and HI. 2. Go to Choose a Test to order your blood tests and pick your needed one from the list. There are multiple tests out there such as the Elite Male Blood Test or the Complete Blood Count test. The first email is a summary of your order. The second email contains a lab requisition form which will be sent to LabCorp on your behalf. It takes less than 24 hours to receive a response from the lab. In most cases, people are receiving a third email in as little as 3 hours with a confirmation of their requisition form. This means that you can print the form and head directly to the nearest LabCorp center to get your blood drawn. You don’t need insurance or any other document, just a photo ID so that the lab techs can identify you. Once you draw blood, the results will be mailed to you in as little as 4-5 business days, depending on the blood test. 6. You can optimize your medication dosages without having to wait for weeks to see a doctor. 7. Most importantly – take matters in your own hands when it comes to your health! There are numerous online stores out there which offer blood tests and other types of tests, but DiscountedLabs is a popular choice among consumers for a wide variety of reasons. The online lab tests industry strives to provide a great service to their clients and help them learn about their health in an easier, faster and more affordable way. It is normal to have questions when ordering blood tests online, that’s why the following section aims to answer some of the questions you might have. Can I draw blood at home? No, patients are required to visit a lab to draw blood in the presence of a medical professional. It is much safer and easier to draw blood in a medical setting, and the process is quick and painless. Some companies sell finger prick t and saliva test kits that they send to your home but those tests are not as accurate as actual blood tests. 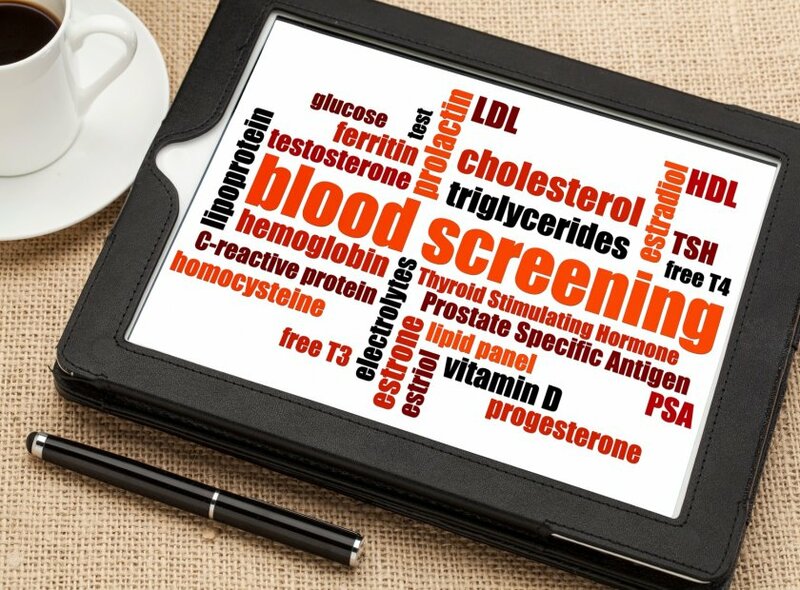 Are online blood tests expensive? No. in fact, they are offered at competitive prices, in comparison with getting yourself tested through your physician. Online blood tests are much more affordable simply because there’s no middleman involved (the doctor). You simply order these tests from a certified provider, have your blood sent to a lab and got your results back quickly. It is important to know that you can also get blood tests without insurance, so everyone can benefit from minimal healthcare by using direct-to-consumer lab tests. As a word of caution, ordering blood tests online can be done for informative purposes. This service is ideal for getting a broad overview of your health. If you have serious symptoms or health problems, make sure that you speak with your physician and don’t try to diagnose yourself through online tests. What should I do after I get the results? Once the results are communicated to you via email, you can compare the numbers against reference values you can find online. For example, optimal total cholesterol levels for healthy adults should be less than 200mg/dL. If you have higher than that but lower than 239mg/dL, then this is a warning sign. If cholesterol levels are higher than 240mg/dL, then you might need to speak with your physician and adjust your diet and lifestyle to lower your cholesterol levels and prevent cardiovascular diseases. Similarly, if your fasting glucose levels are between 80 and 100 mg/dL, then your blood sugar is normal. If you have a fasting glucose level higher than 100mg/dL but lower than 125mg/dL, then you might have impaired glucose tolerance. If your fasting glucose level is 126mg/dL or higher, then you are diabetic. Based on reference values like this, you can interpret your results and make appropriate lifestyle adjustments such as exercising more, eliminating junk food from your diet, etc. It is also very important to not diagnose yourself but speak with your physician to find out more about your health based on your blood test results. Most importantly, you are not alone once you get the results and you should immediately ask for guidance from medical professionals. What should I know before drawing blood? There are a few vital requirements you have to remember before drawing blood. For example, you shouldn’t eat or drink anything else than water for 9-12 hours before drawing blood. This will put your body in a fasting state which is ideal for determining baseline hormonal, sugar and vitamin levels. Depending on the test you ordered, sometimes you might be required to stop biotin supplementation for 72 hours before drawing blood. Each blood test might have certain instructions to follow, and these will be communicated to you when you order the test. It is very important to follow these requirements before going to the lab to draw blood because they significantly influence the accuracy of the results. It is normal to be concerned about privacy when it comes to your health. That’s why DiscountedLabs goes the extra mile to protect your sensitive data as well as your blood test results. DiscountedLabs follows privacy and HIPAA policies which guarantee that your information will be safe, confidential and not shared with anyone unless you authorize this. DiscountedLabs serves all US, expect a few states such as New York, New Jersey, Massachusetts, New Hampshire, Rhode Island, Maine, Vermont, and Hawaii. The next step is to order your blood tests and learn more about your health. Visit DiscountedLabs, choose your favorite test, and you’ll save lots of time and money in the process!